Halcyon Drives are the perfect partner to keep your plant running around the clock whatever your drive application. To support our comprehensive stock range of ABB Drives, Halcyon Drives have an extensive selection of Drive Units available for hire. Need to resolve critical downtime issues? Prove energy savings before committing? As an ABB Authorised Value Provider (AVP), Halcyon Drives have access to the ABB Drives Installed Base, which is updated regularly and prompts us when a Variable Speed Drive is scheduled for Preventative Maintenance. 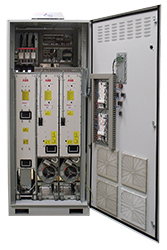 With your drives registered on the Drives Installed Base, we can establish where your drives are within ABB’s recommended life cycle, and plan for what actions are needed to keep your drives running smoothly.